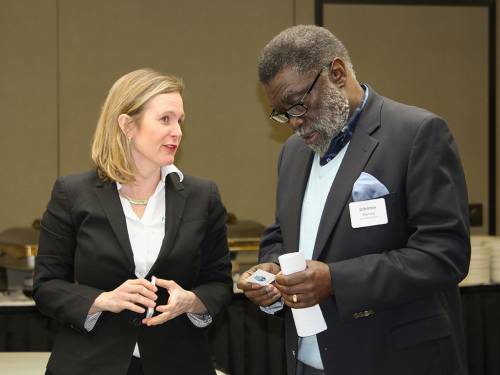 PITTSBURGH – With bumper stickers and hashtags, Facebook pages and community partnerships, the Freedom Rising initiative to improve the plight of the African American male is beginning to take off in the five cities where the program will be piloted. 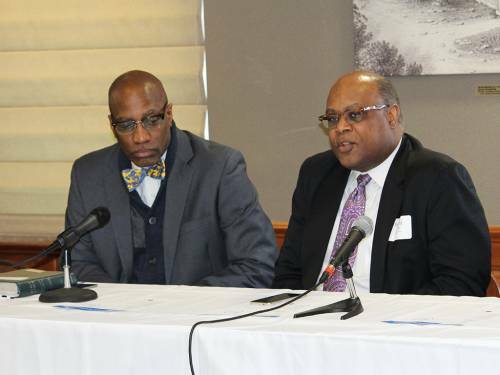 The initiative approved by the 222nd General Assembly (2016) seeks to assist communities in Baltimore, Charlotte, Cleveland, Pittsburgh and New York City by addressing problems specifically related to African American males. The initiative began in Pittsburgh Presbytery and members of the presbytery gathered to hear how the idea is being incarnated in the pilot cities just eight months later. Heather Schoenwolf, Moderator of Pittsburgh Presbytery, helped to present the initiative at General Assembly and is working with the initiative in Pittsburgh. Working with children is also part of the initiative in New York City. Selma Jackson from the Presbytery of New York City shared her story of reading to a fourth grader. She said she’s amazed at how quickly a child can learn when given one-on-one attention. 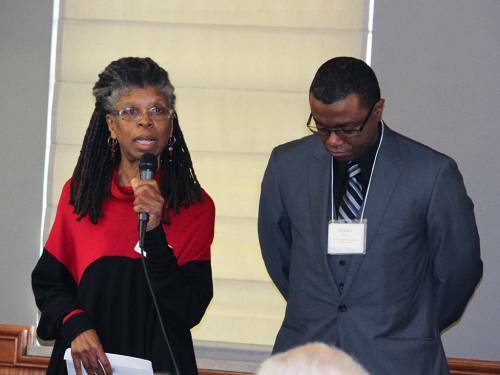 Rather than set up new programs, the Presbytery of New York City is creating partnerships with existing organizations and networking different groups together as part of its vision for Freedom Rising. It’s an approach the Presbytery of Baltimore is taking as well. Charles Atkins, pastor of the French Evangelical Church of New York, heads the initiative for the presbytery there. He said the church and secular organization partnerships can work well together as long as the non-church groups recognize why the presbytery volunteers are involved. Both the Presbytery of Western Reserve (Cleveland) and the Presbytery of Charlotte are encouraging frank dialogue within the presbyteries as well in in their communities. In Western Reserve the goal is to unmask structural racism in the church and culture, and to be self-critical and acknowledge that Presbyterians have a problem when it comes to race. The Presbytery of Charlotte is encouraging its members to participate in public rallies and demonstrations regarding race. It is also hosting a dismantling racism workshop and viewing of the movie 13th. Sterling Morse, coordinator for Intercultural Ministries for the PC(USA) said the best programs will be those that are face-to-face. Part of local and mid-council donations to the Peace and Global Witness Special Offering can be designated for the Freedom Rising initiative. Bryce Wiebe, manager of Special Offerings, said financial contributions are a way to increase the commitment of those not directly involved in the five pilot cities. Wiebe said work being done in the pilot cities needs more than just nods of appreciation, but commitment from churches in other parts of the country. “Freedom Rising is witness to the gospel and not just a service to the church,” he said.